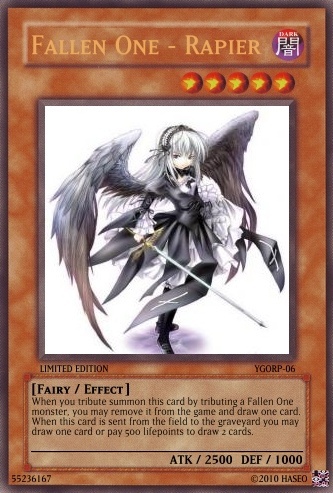 Fallen One - TwinBlader Dark Lv 4 Fairy 2000/1000 When this card is destroyed by battle, special summon it to your field and increase it's atk by 200 during your next standby phase. 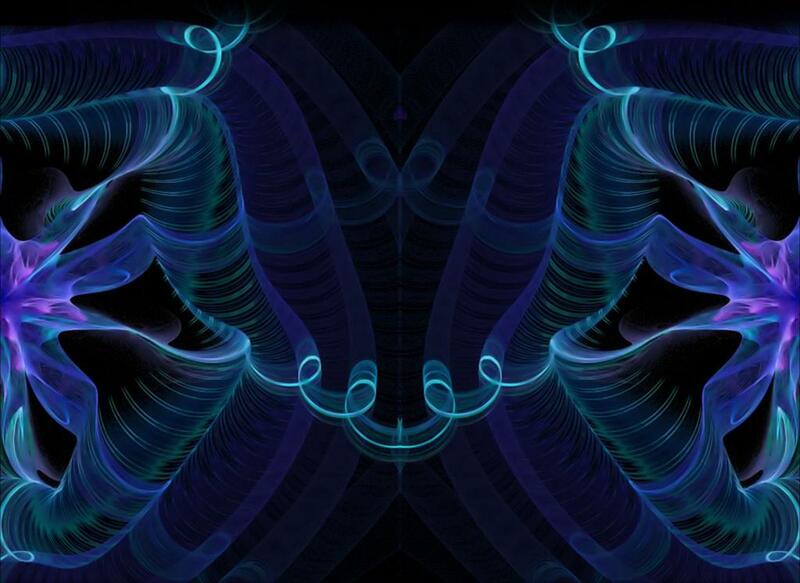 When it is special summoned by this effect and removed from the field it is removed from play. 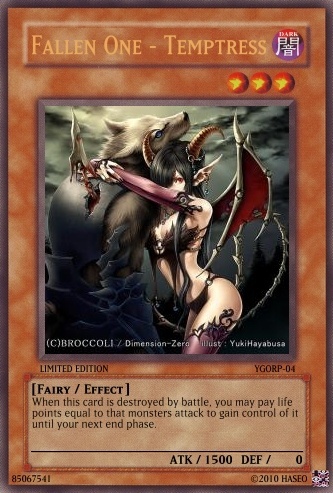 Fallen One - Temptress Dark Lv 3 Fairy 1500/0 When this card is destroyed by battle, you may pay life points equal to that monsters attack to gain control of it until your next end phase. 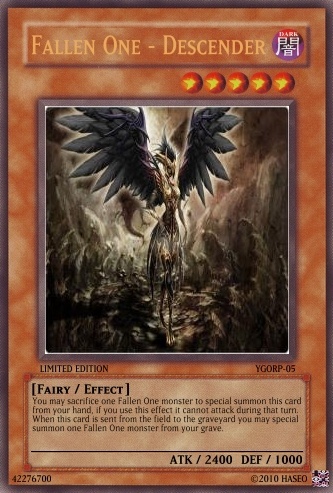 Fallen One - Descender Dark Lv 5 Fairy 2400/0 You may sacrifice one Fallen One monster to special summon this card from your hand, if you use this effect it cannot attack during that turn. When this card is sent from the field to the graveyard you may special summon one Fallen One monster from your grave except Descender. Fallen One - Rapier Dark Lv 5 Fairy 2500/1000 When you tribute summon this card by tributing a Fallen One monster, you may remove it from the game and draw one card. When this card is sent from the field to the graveyard you may draw one card or pay 500 lifepoints to draw 2 cards. Fallen One - Cerberus Dark Lv 8 Fairy 3000/0 This card cannot be normal summoned or set. This card can only be special summoned by discarding one "Fallen One" Monster, tributing one "Fallen One" monster and removing from game one "Fallen One" monster from your graveyard. Once per turn you may tribute a "Fallen One" monster to gain half of it's ATK. 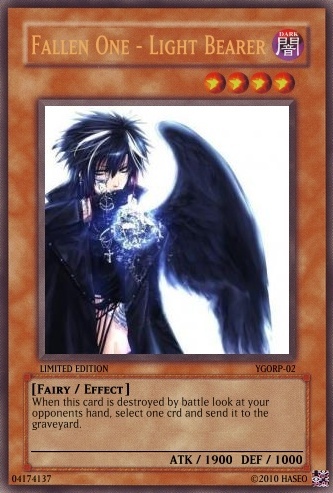 Darkness Grip - Normal Trap - Destroy a Dark fairy on your side of the field, it is treated as being destroyed by battle. Once per turn you can activate the folowing effect, change this card's type from a warrior to a spellcaster and destroy one spell or trap on the field or change this cards typ from spellcaster to warrior and destroy one monster on the field. Pay 800 life points to activate this card. Chang the type of a faceup MagiBlader monster on your side of the field and activate it's effect according to the new type. When you would take damage from a direct attack you can discad this from your hand to reduce that damage to 0. 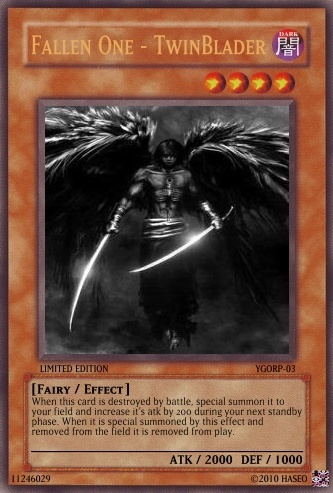 Then you can special summon one "MagiBlade" monster from your deck with an ATK equal to or less than the damage you would have taken from your deck. While this card is face-up on the field all "MagiBlade" monsters gain 200 atk and their spellcaster effects. They cannot change to a warrior. There can only be one face up "Call to the" card on the field.